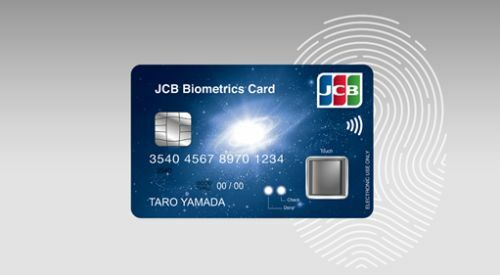 TOKYO, Apr 18, 2018 - (ACN Newswire) - JCB Co. Ltd, the only international payments brand based in Japan, will conduct a pilot trial of its latest JCB Biometrics Card with fingerprint authentication. JCB Contactless's payment solution is provided by IDEMIA, a global Augmented Identity leader. Toppan Printing will also take part in the demonstration trial in respect of card personalization. OT-Morpho is now IDEMIA, the global leader in Augmented Identity* for an increasingly digital world, with the ambition to empower citizens and consumers alike to interact, pay, connect, travel and vote in ways that are now possible in a connected environment. * An "Augmented Identity" is an identity that is so enhanced, adaptable and secure that it gives people freedom to relax. Backed by IDEMIA's technology and innovations, "only you can be you". When designing market-leading solutions, IDEMIA draws on the most natural and authentic means of verification, namely the body's biometric data. IDEMIA taps into complementary know-how and technologies that have never been combined before. IDEMIA's technology speeds up both passport security checks for travellers and smartphone payments, while also upholding strict security.